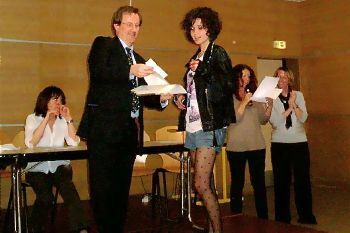 The AGESSIA association (Association Gestionnaire Extra Scolaire des Sections Internationales de l’Académie d’Aix-Marseille) was created in 2009 by the students’ parents and operates according to a convention with the Georges Duby High School, duly voted and approved by the board of directors of the school. Thanks to the parents’ contribution payable for the three years of the programme, AGESSIA is able to finance a secretariat for the English-speaking section as well as all the activities proposed by the association. AGESSIA’s mission is to de sustain and develop the quality of the English-speaking section. AGESSIA organizes and manages the foreign English-speaking exams which do not concern the Board of Education. AGESSIA is responsible for the administrative and financial management of the following examinations: IGCSE Edexcel International, Cambridge ESOL Exams and certain entrance exams for English-speaking universities (BMAT, ELAT…). AGESSIA provides limited assistance in preparation for these foreign exams. AGESSIA helps prepare candidates’ files for graduate studies in English-speaking countries (Great Britain, United States, Canada and Ireland). AGESSIA gives students access to a large number of documents on the profiles, curriculums and ranking of foreign universities. AGESSIA offers Anglo-Saxon educational and cultural activities which enable all the section’s students to considerably improve their linguistic level as well as their knowledge of Anglo-Saxon culture. AGESSIA organizes long and short linguistic and cultural exchanges with Anglo-Saxon countries. AGESSIA puts together extra-curricular activities such as: cultural outings, debate club (in participation with Model United Nations Conferences in Paris), theatre and cricket clubs.